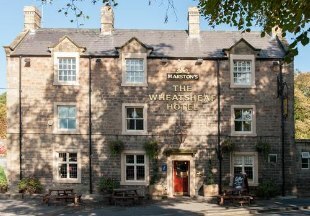 At the gateway to the Peak District on the A6 between Matlock and Bakewell, this welcoming 18th century inn is ideally located and offers food all day from the extensive menu. AA 4 Star Inn. 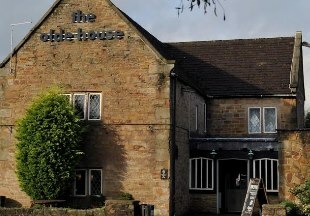 Dating back over 100 years, The Maynard enjoys stunning views, yet is only 13 minutes from Sheffield by train and within easy reach of the M1 and A57 Snake Pass by car. This luxury boutique hotel boasts an award-winning restaurant. 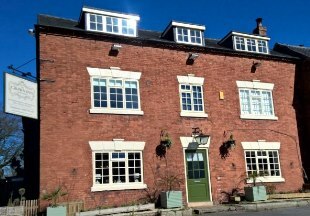 This 18th century coach house has been sympathetically restored and now offers excellent service, accommodation, food and drink. Situated just outside the market town of Chesterfield, the hotel is within easy reach of Meadowhall shopping centre, Sheffield, Derby and the Peak District. 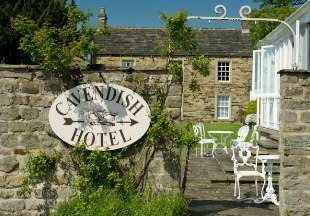 Steeped in history and enjoying superb views, the Cavendish Hotel, originally the famous Peacock, is located on the Chatsworth Country House Estate in the heart of the Peak District. Throughout the hotel you will find open fires, oak beams, antiques, fresh flowers and friendly staff. Hard to believe that this peaceful oasis is just 15 minutes from Sheffield by car and 20 minutes from the M1! The Waltzing Weasel is a traditional English Inn. 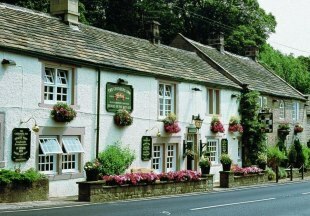 The 400 year old inn is ideally located in the walking country of the High Peak by the Sett Valley Trail. 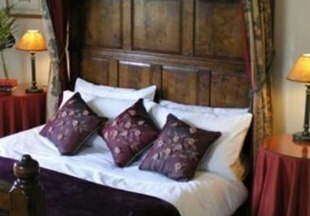 Relax in one of the eight luxurious en-suite bedrooms, one with a beautiful 300-year-old Jacobean half tester bed. The bar offers a inviting area to drink or dine in front of its open log fire. The Waltzing Weasel’s restaurant provides quality dining and excellent wines and through its mullioned windows, offers dramatic views of Kinder Scout. This popular country inn in the Peak District serves great food; choose between the restaurant or the bar where informal meals and snacks are served all day long. The large garden is perfect in the summer for dining al fresco, and both children and pets are welcome. 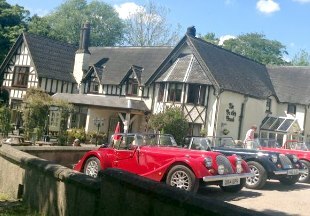 The Bentley Brook Inn is ideally situated near Ashbourne, convenient for Alton Towers, Dovedale, Manifold Dale and the Tissington Trail. 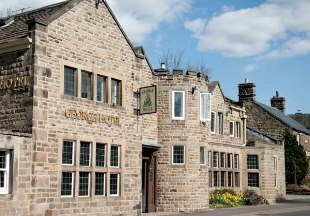 Welcome to the Queen Anne, a 17th century, traditional Peak District village inn. Full of charm and character, the inn serves delicious home-cooked country food and there are two comfortable en-suite guest rooms, ideal for walkers and tourists. AA 3 Star Inn. Formerly a 500 year old inn, this highly rated Derbyshire hotel in the heart of the Peak District has been transformed into a relaxing haven in which to unwind. Featuring contemporary décor and award-winning cuisine, the George retains its charm and character whilst offering every modern amenity. Sheffield is just 20 minutes away. Free Wifi in all bedrooms and public areas. Welcome to the Plough Inn, a 16th century inn set in 9 acres of grounds on the banks of the River Derwent in the Peak District National Park. Relax and enjoy excellent food in our intimate and informal restaurant. AA 4 Star Inn. The 17th century Olde House is now a popular pub and inn offering a tastefully designed bar and dining area, and twelve en-suite bedrooms for guests. It is conveniently situated 1.5 miles from Chesterfield centre and 8 miles from junction 30 of the M1. 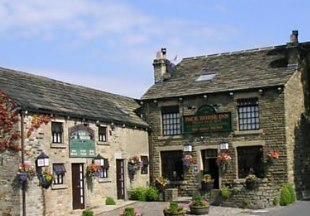 Welcome to the The Pack Horse Inn, nestled in the hills above New Mills on the edge of the Peak District. The inn boasts twelve en-suite bedrooms with wonderful views over the garden or the beautiful Sett Valley. The inn is a great place to sit and enjoy a drink or freshly-prepared, locally sourced food whilst appreciating the glorious scenery. AA 4 Star Inn. Situated on the Chatsworth Estate and owned by the Duke and Duchess of Devonshire, The Devonshire Arms blends modern comfort with traditional inn character just perfectly. 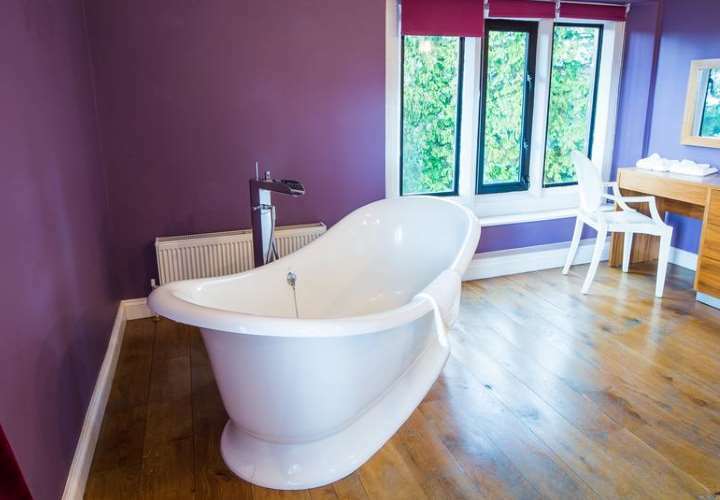 Light and cheerful en-suite bedrooms, real ale and real food, including delicious local dishes such as Pilsley Mixed Grill, Belly Pork Bubble and Squeak, fresh Fish Pie, plus freshly made sandwiches for a lighter bite. A converted 17th century coach house, this historic riverside inn is situated between Swarkestone and Melbourne, 7 miles from East Midlands Airport. The pub serves a wide choice of hot food all day, including pub classics and daily specials. 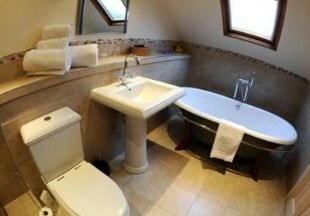 The inn also boasts seven en-suite rooms in the adjoining stable block. A family run, 16th Century inn located in the heart of the Peak District offering excellent en-suite accommodation, fine food, cask ales and beautiful country surroundings. 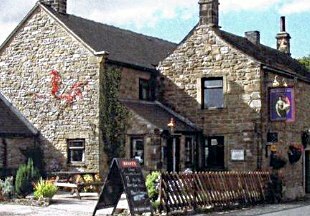 Located in the attractive hamlet of Whitehough (20 minutes from Buxton) the Old Hall Inn is nestled in the valley between 'Eccles pike' and 'Cracken Edge'. 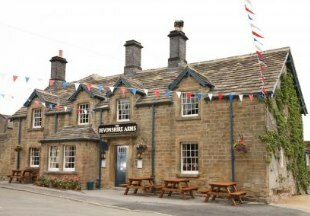 We are in the heart of prime walking country and ideally situated for exploring the peaks. Chinley train station, one mile away, has direct links to both Manchester and Sheffield. Officially the most popular destination in the UK for weekend breaks, the Peak District offers a stunning landscape, stately homes and a host of superb places to stay. Visit the market towns of Buxton, Bakewell and Ashbourne. Explore stately Chatsworth and then ride the rollercoasters at Alton Towers. For walkers and cyclists, highlights include the Tissington Trail, High Peak, Manifold Dale and Dovedale. 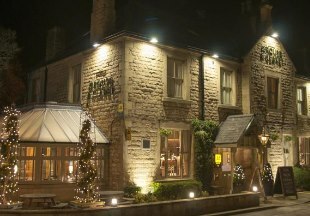 Country inns in Derbyshire offer a warm welcome and a respite from the weather on a cold winter's day. In the summer, the pub's beer garden is an ideal spot to enjoy the sunshine, sip a cold drink and enjoy a meal or a snack al fresco. 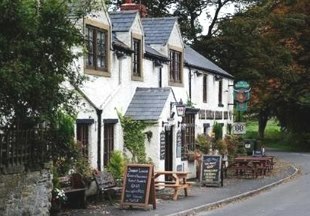 Our handpicked selection below of Peak District inns and hotels includes traditional inns, gastro pubs, historic inns, village inns and even riverside inns. "The Peak District is a magnet for walkers and cyclists. And when you're tired after a few hours exercise, all you want is good food, a refreshing drink and a warm welcome, even for muddy boots and dogs if necessary! 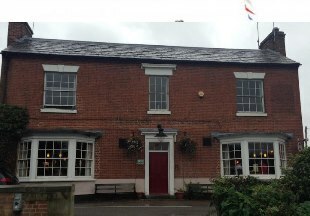 The country inn fits the bill: places like the Grouse and Claret and the Bentley Brook Inn where food is served all day." Derbyshire is bordered by Greater Manchester, Yorkshire, Nottinghamshire, Leicestershire, Staffordshire and Cheshire. 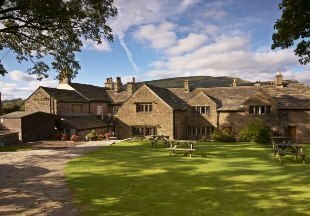 If you want to widen your search, why not browse through our selection of hotels and inns in Yorkshire, Greater Manchester, Nottinghamshire, Leicestershire, Staffordshire and hotels in Cheshire.